Patents are an important way of protecting inventions in the pharmaceutical and biotechnology industries. However, intellectual property law reforms have not kept pace with the rapid advances in genomics, synthetic biology, and stem cell research. Meanwhile, universities are increasingly spinning off companies that use these technologies, requiring the academic scientists involved to gain an understanding of intellectual property law and the patent system as it applies to biomedical innovations. 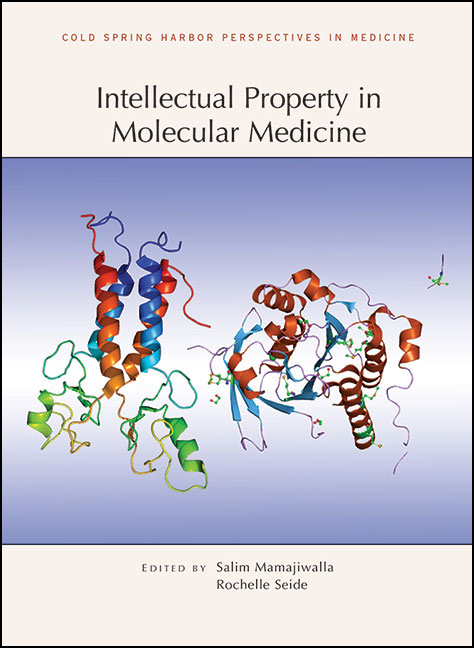 This collection from Cold Spring Harbor Perspectives in Medicine aims to provide a clear, current, and comprehensive understanding of biomedical intellectual property and the laws that protect it. The contributors describe patent laws and practices in the United States, Canada, Australia, and the European Union. They explain the roles of regulatory agencies in intellectual property, various opinions on the patentability of biological materials (e.g., DNA and stem cells), and the implications of recent court decisions (e.g., the Myriad case). Practical issues related to licensing agreements and patent applications are also discussed. The authors offer guidance on the criteria for patent eligibility (e.g., utility, nonobviousness, and novelty), issues related to timing and possession, and rules for determining inventorship. Other topics include trade secrets, research exemptions, and the protection of traditional knowledge related to biological resources. This volume will serve as an essential reference for all scientists, physicians, and technology transfer professionals seeking to navigate the complex rules, regulations, and procedures concerning intellectual property in biotech and pharma. Must an Inventor Possess an Invention to Patent It? Sarah E. Fendrick and Donald L. Zuhn, Jr. Protecting Traditional Knowledge Related to Biological Resources: Is Scientiﬁc Research Going to Become More Bureaucratized?